The 2011 reboot The Muppets was an unqualified delight, smartly mining the nostalgia factor to reunite older moviegoers with the puppet protagonists of their childhood (or, in many cases, young adulthood). 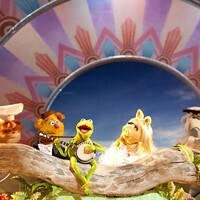 Whether building scenes around "The Rainbow Connection" or a modem connection (the film's biggest laugh, courtesy of Kermit's helper '80s Robot), the film was steeped in Muppet lore, and even those old coots Statler and Waldorf wouldn't dare turn their noses up at its boundless cheer. Muppets Most Wanted opts for a different approach, leaving the warm and fuzzy feelings behind in order to charge full-steam ahead with a comedic crime caper. In this way, we're witnessing a repeat of the first two Muppet pictures, when 1979's The Muppet Movie, about the series stars getting together (as in 2011's The Muppets), was followed by 1981's The Great Muppet Caper, about the pilfering of jewels in Great Britain (as in this new film). Muppets Most Wanted isn't as satisfying as The Muppets, but it still represents a good time, packed with amusing gags, nifty cameos and a plot that doesn't slow down. In this outing, a grinning talent agent named Dominic Badguy (Ricky Gervais) talks Kermit and the gang into following up their successful U.S. comeback with a European tour; what they don't realize is that he's actually in cahoots with Constantine, the world's greatest criminal as well as a dead ringer for Kermit. 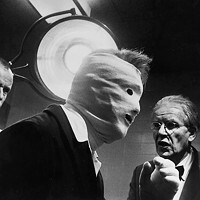 With a dastardly plot to use the tour as the cover for stealing the crown jewels in London, Constantine manages to pass himself off as Kermit while the real Kermit gets mistaken for the criminal mastermind and shipped off to a Russian gulag run by the stern Nadya (Tina Fey). Animal knows that something's not right with the troupe's green leader ("Bad frog!" 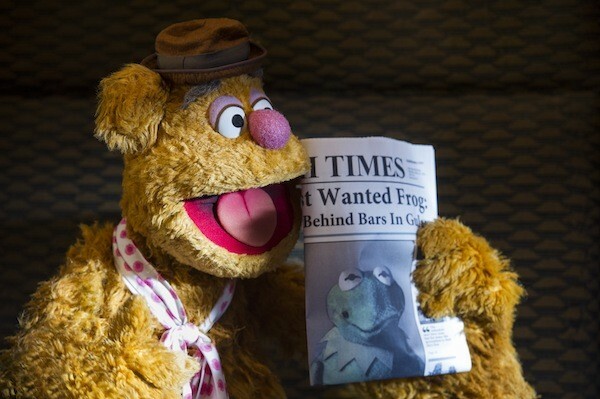 he blares at Constantine), but the others, from Fozzie to Miss Piggy, don't suspect that anything's wrong, even though Kermit now sports a European accent and his managerial skills have noticeably gone MIA. To its credit, Muppets Most Wanted corrects the two major flaws found in its otherwise superior predecessor. Dull Muppet newcomer Walter, a lead in the previous picture, mercifully occupies far less screen time in this endeavor. And while the first film's cameos were on the anemic side (Ken Jeong? Selena Gomez? ), this one fares far better in that department, with welcome appearances by Stanley Tucci, Tom Hiddleston, Danny Trejo (as a prison inmate named ... Danny Trejo) and many more. The human leads (Gervais, Fey and Ty Burrell as French inspector Jean Pierre Napoleon) throw themselves into their roles with gusto, although it's the Muppet leads who deliver the performances worthy of felt Oscars. Thanks to the chemistry between Kermit and Miss Piggy, their romance ranks up there with the torrid love affairs between Scarlett and Rhett, Jack and Rose, and Bonnie and Clyde, while my fave, Fozzie the Bear, deserves any and all comparisons to Brando, Bogart and Olivier. As for Animal ... well, he remains cinema's best visual effect, a whirling dervish of shaggy countenance, musical derangement and Muppetational resilience.